Washed up on a beach, with a path of destruction in his wake, Mac Travis must put his life back together. With his girlfriend in a coma and hanging by a thread, he becomes embroiled in a plan to blow-up US and Cuba’s fledgling relationship. Along with his wayward mate, the colorful Trufante, they fight to save Mel’s life and get back everything he’s lost. Experience the Florida Keys in this new adventure by best-selling author Steven Becker. 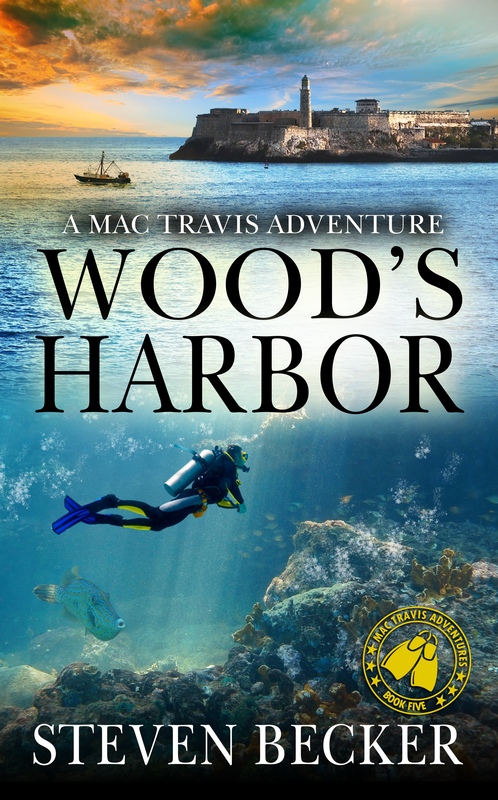 Download the first chapter of Wood’s Harbor today! I really enjoyed your Mac Travis boxed set. I would like to purchase the kindle edition if the next in the series – Woods Harbor, but kindle does not have it for sale. Please could you advise where I can purchase it. Hi John, thanks for your message. All my books are available in kindle, paperback and audio. Thanks again and I’m glad you enjoyed reading the Mac Travis series.